Make your next vacation unforgettable with AAA. Click here to view promotional codes. Cruise vacations can offer something for everyone. 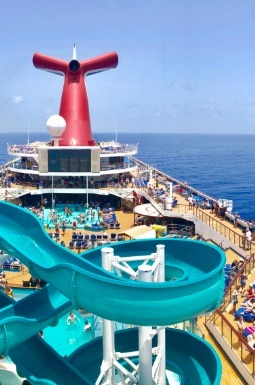 Of course, cruise lines are different, appealing to different types of passengers and finding the one that truly fits your needs is the key to enjoying your cruise. We’ve grouped our AAA preferred partner cruise lines into the below categories to help you get started. But, visiting your AAA Travel Agent is the way best to find the cruise line, ship and cabin that’s best for you. Get AAA Member discounts at AAA Approved and Diamond Rated hotels, car rental discounts from Hertz, and discounts on hundreds of AAA Vacation packages. Members also get exclusive beneﬁts on cruises around the world, international trips, rail trips, plus discounted event and theme park tickets. Explore the seas like never before! 24/7 Member care on all AAA Vacations® itineraries. Travel with confidence because AAA is with you should you need assistance while traveling. Best price guarantee on all AAA Vacations® itineraries. Should you find a valid, better rate for the exact same itinerary within 24 hours of booking, AAA will match the lower rate. Priority check-in, a perk that allows you to skip the long lines on embarkation day. Onboard spending credits to use for drinks, spa treatments, shore excursions, onboard shopping and more. *These exclusive benefits vary by cruise line, so ask your AAA Travel Agent for details or select a cruise line below. Contemporary cruise lines, also known as mainstream, deploy larger, mega-type ships in the 2,500 to more than 3,500 passenger range. They offer a wide-range of onboard amenities and activities such as large pool facilities, spas, fitness areas, casinos, more than three restaurants, stage productions, live music and dedicated children’s programs. These ships are great for family and multi-generational groups because of the number of choices they provide. Most offer itineraries all over the world. Premium cruise lines deploy large, but not mega ships. They carry around 2500 to 3000 passengers. They offer similar amenities to their contemporary counterparts, while enhancing the luxuriousness of the offerings. These lines are best known for a more sophisticated onboard experience, with upscale accommodations, enhanced dining, superior service and onboard enrichment opportunities. Their itineraries will include more exotic locales and overnight port stays. 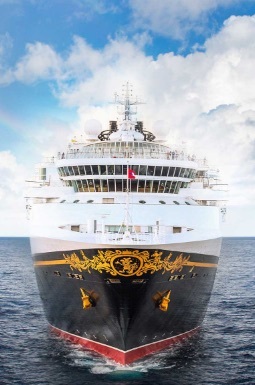 The luxury cruise lines tend to have smaller ships, generally less than 2500 passengers. They feature unique itineraries that take you to lesser known destinations. These luxury lines offer a more “boutique” experience onboard and focus on fine dining, destination immersion and upscale surroundings. The top-of-the-line for ocean cruising. 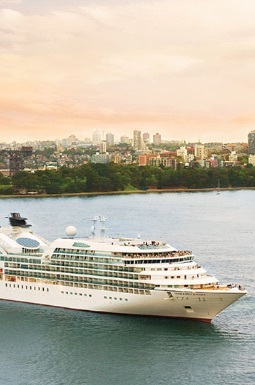 These ships offer luxury décor in the cabin and public spaces, haute cuisine, fine wines and more cultural experiences both onboard and onshore. Typically, these lines are of an “all-inclusive” nature – with certain shore excursions, alcoholic beverages, gratuities and more included. River cruising takes you on a journey down the storied rivers of the world, including Europe, Russia, Asia, India and Egypt. There are all the benefits of ocean cruising – unpack just once, but visit multiple destinations, food is included, etc. – but because you are on the river, you dock in the middle of town, then walk off the ship! 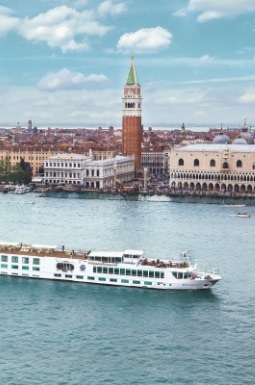 It’s an intimate experience with most river cruise lines carrying 300 passengers or less. You spend less time getting there and more time being there. Adventure cruise lines, also known as Expedition Cruises, take you to exotic destinations where you can experience nature and wildlife up-close and personal. 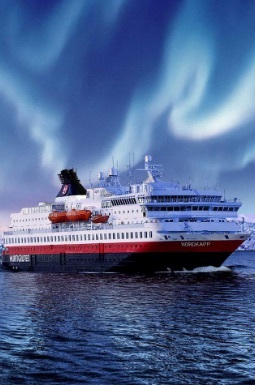 Popular routes include Antarctica, Greenland, the Galapagos Islands, and arctic Norway. Ship amenities can range from simple, down-to-earth accommodations to ultra-luxury environments. HOW TO PICK A CRUISE SHIP Picking the perfect ship — like choosing the perfect love match — is tricky. Let AAA help! 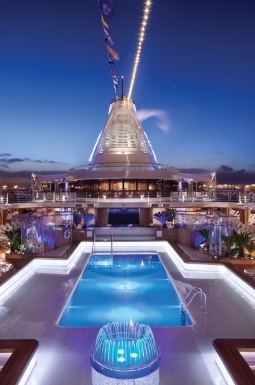 10 REASON TO UPGRADE Considering making the leap from a mega ship to a luxury vessel? Know what to consider while making this decision. CRUISE FAQs Have a question? We’ve answered 10 of the most common questions that are asked by travelers who’ve never sailed.